I’ve held off on the pumpkin recipes and fall talk long enough. Since it’s still in the 90’s here and I don’t get to wear the cute fall scarves or bundle up at the football games, I burn fall candles and eat everything pumpkin spice to make up for it. I still have a good month and a half before it starts to get cooler. I’ve been contemplating on making a trip back to Iowa this fall and going to a high school football game. I really miss the midwest falls and it would be great to visit family and catch up with some friends. Until then, pumpkin recipes it is. 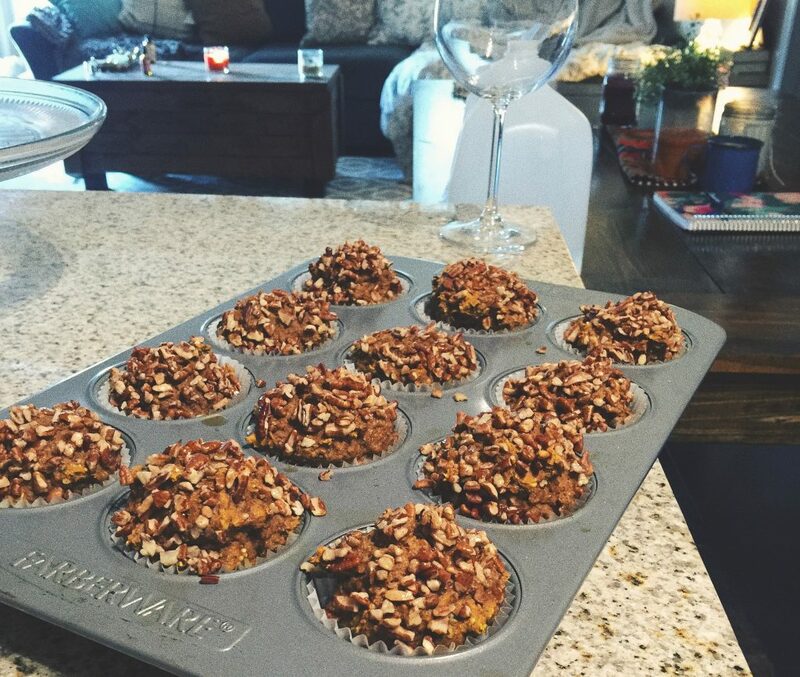 While I was meal prepping a couple of days ago, I decided to bake some healthy pumpkin muffins for breakfasts. I used to make the crustless pumpkin pies religiously, so I thought I’d do a little spin off. 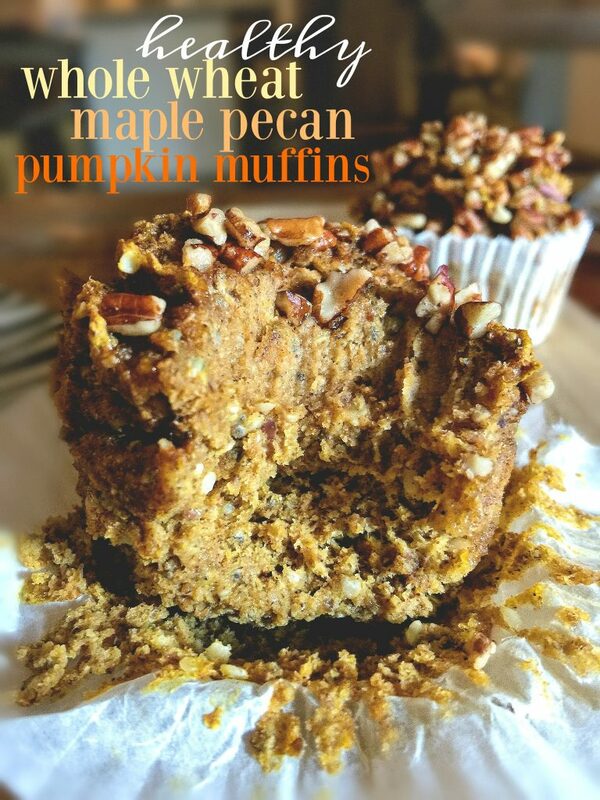 These are super delicious, incredibly moist, insanely healthy, and perfect with a hot cup of morning coffee! 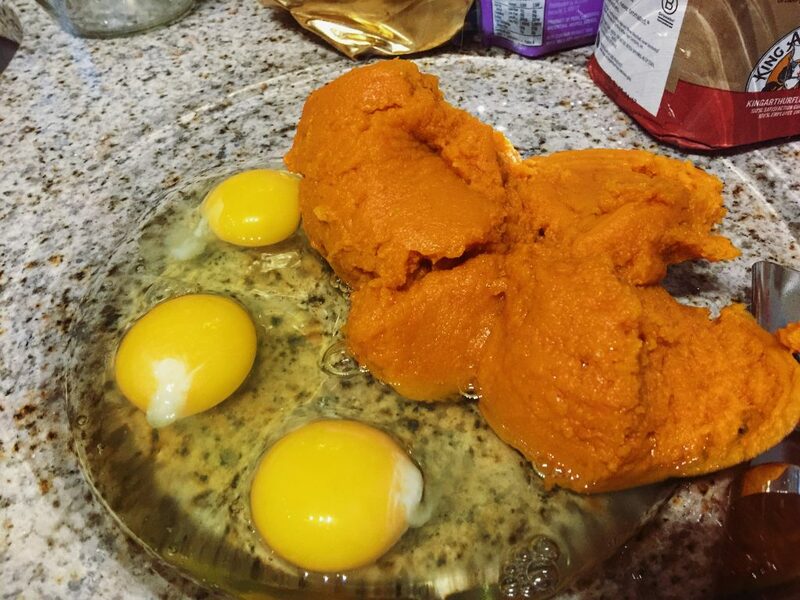 Add eggs, vanilla, and pumpkin to a large bowl and mix well. 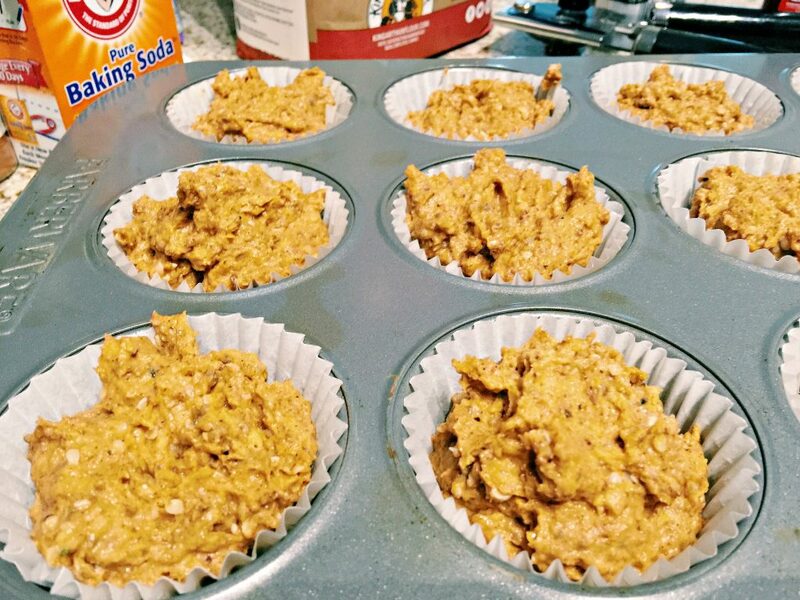 Line a muffin pan with liners and add 1/3 cup of the pumpkin muffin batter. Bake for 18-22 minutes *all ovens cook differently! 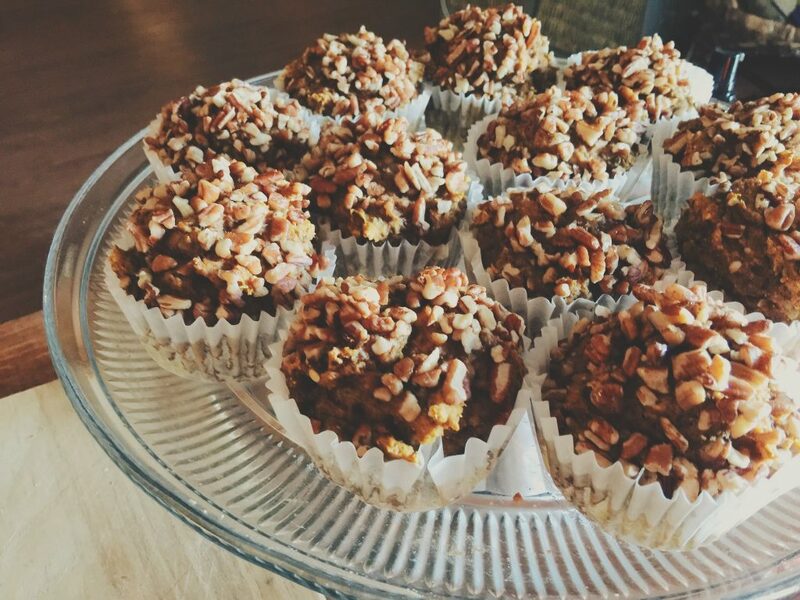 Let the muffins cool & serve! This recipe makes 18 large muffins. You can spray them with cooking sprayif you’d like, but I didn’t have any trouble with them sticking to the liners. Bake for 18-22 minutes *all ovens cook differently! Let the muffins cool & serve! To store* I kept about ten of them in the freezer and the rest of them in my dessert tray! They’re really good in the refrigerator as well. I spread a little Greek yogurt cream cheese on them for breakfast the other morning and it was so good! 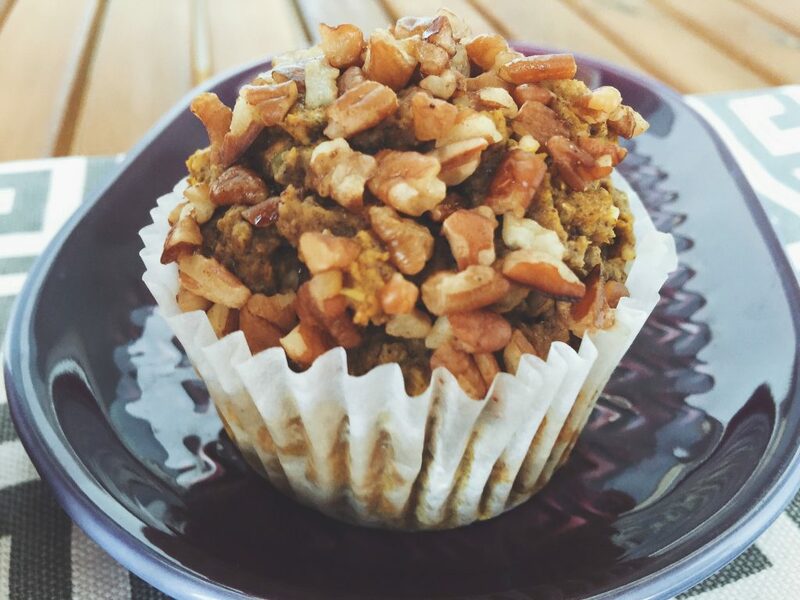 These muffins are rich with fiber, healthy carbohydrates, some protein, low sugar and perfect for breakfast or before a workout! I can’t wait to make these again. I want to try them with cinnamon or white chocolate chips:) I hope you all enjoy this recipe! 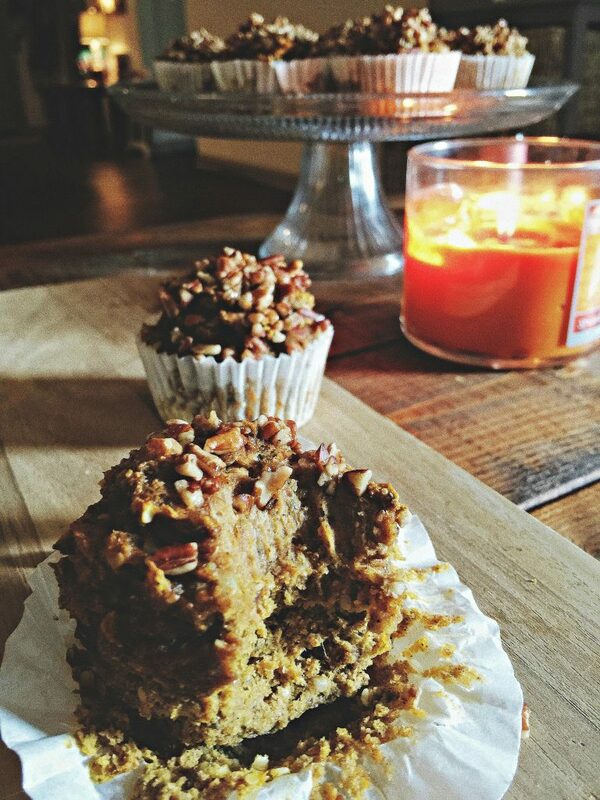 Have you ever tried one of my pumpkin recipes? 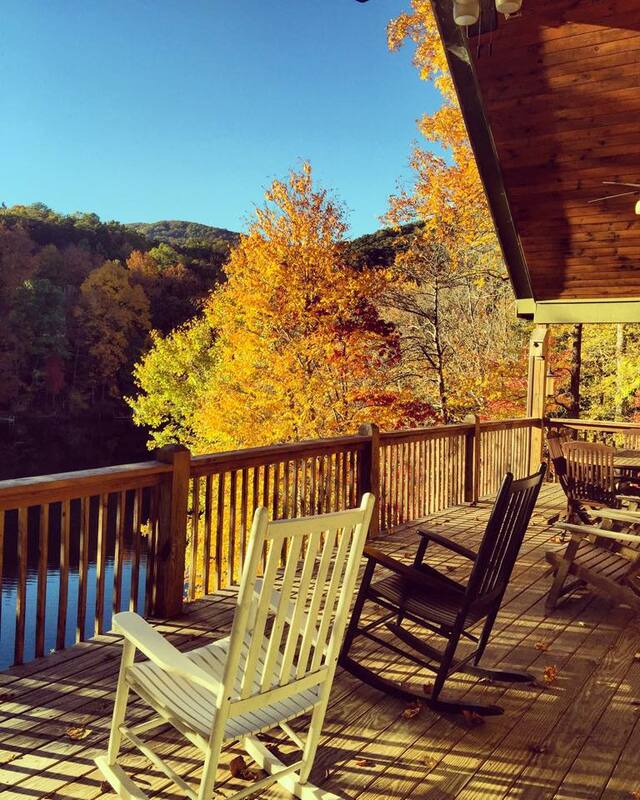 When do the leaves start changing where you live? *Tag me in one of your favorite fall photos you’ve taken. What gluten free flour do you think would work best in this recipe? I’m so ready for fall that I plan on making these and pretending it’s all ready here! I was thinking almond or coconut. I haven’t tried with either, but I can come up with a new recipe! I think a coconut flour would be better because it’s a bit drier and will work with the pumpkin better! I have made these two times so far! These were so damn amazing! Can I omit the hemp seed? This recipe looks delicious – can’t wait to try it this weekend! Although its still hot in Atlanta, I’m trying to will the fall to come with fall decor, clothing and nail colors, and this recipe will be just perfect! 1. I love going to college football games…nothing says fall like football! 2. 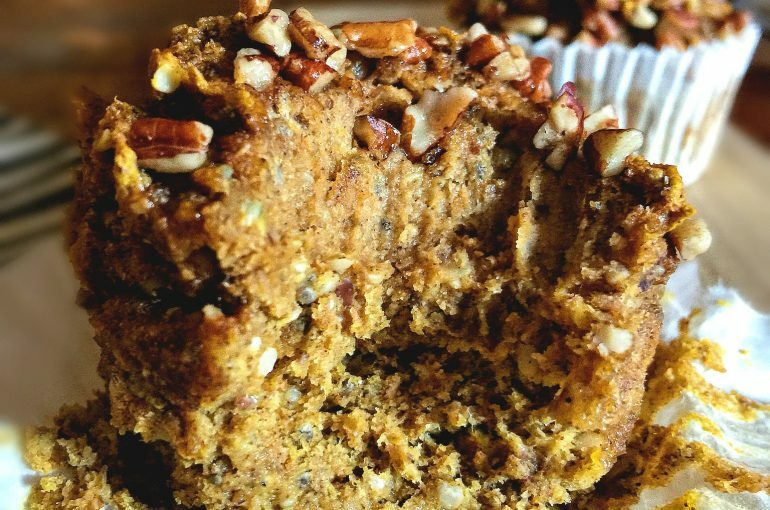 I think you have a cream cheese frosted pumpkin bar recipe that I tried…muffins will be by second! 3. The fall will happen all to quickly here, likely in October, and the leaves will fall too fast…but I pretend its’s here from September to October! I hope you enjoy them! It’s hot during the day here! 2. YES. That is a very popular pumpkin recipe of mine and my dad is obsessed with it. Does the applesauce go in the muffins or topping? Thanks! Just wanted to let you know how much I love this recipe! 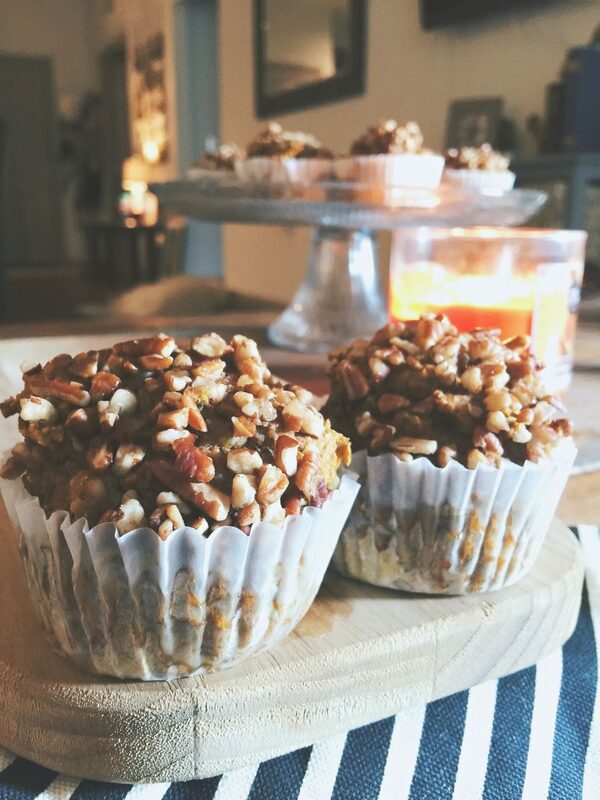 I tried them a couple of days ago with a few substitutions due to my available ingredients – I was so keen to make the muffins, I couldn’t wait to go out and buy them! 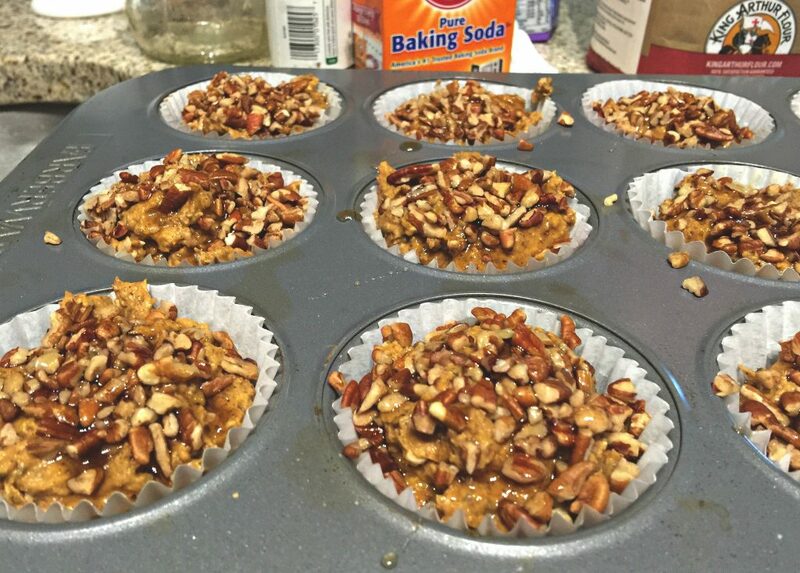 I used butternut squash instead of pumpkin as they’re not available here (in the UK) yet, walnuts instead of pecans, a mashed banana and 1/4 cup of brown sugar instead of stevia, (and I added a handful of butterscotch chips..). They are fantastic – thanks for a great recipe! I have also frozen half for whenever I need a treat. Happy (UK) autumn to you! So happy to hear that!! :) I need to try it with butternut squash. YUM! XO & happy fall to you! 2. I haven’t, but I just stocked up on a ton of canned pumpkin on a great sale, so I’ll be trying your pumpkin bars first I think! 3. Giiiirl, in ND they change about now or within a couple weeks. It’s 54 degrees here today! I finally got to break out the first sweater of the Fall 😀 I love love love Fall and the fact that I can finally wear cute boots again. Painting and carving is my jam! I love adding some sparkles too! I love that you did a grumpy cat haha! Favorite fall activity? Running in the fall, I love hearing the leaves crunch underneath my feet and taking all the beautiful fall colors in as I run. 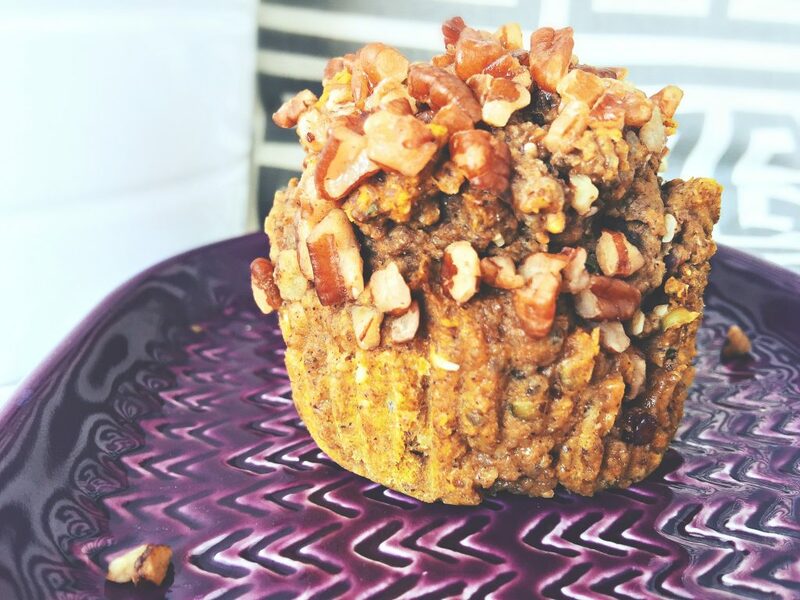 These look amazing, I love homemade and healthy muffin recipes! I’ll have to try these asap! YES YES YES. That is what I LOVE about the fall. I hope love these! I made them again last night but with blueberries! These were so good. I made them last night with cranberries and white chocolate chips added ! That sounds amazing and I’ll have to try that out! Hi! These look great! If I wanted to use sugar, do you know how much to substitute for the stevia? I’m not a huge fan of stevia, it tastes odd to me! Thanks for your help! Can’t wait to try these. If it was me and I was going to add sugar to this recipe, I’d only add about 1/2 cup. I may even do 1/4 cup sugar and 1/4 cup brown sugar. Maybe try honey or a maple syrup as a sweetener? Those look absolutly delicious, and I’m not really even a “muffin” person! But these have my mouth watering! I love fall and everything that comes with it! Hope you have a great rest of week! & I hope you have a great week as well! Oh my goodness! This looks so amazing! 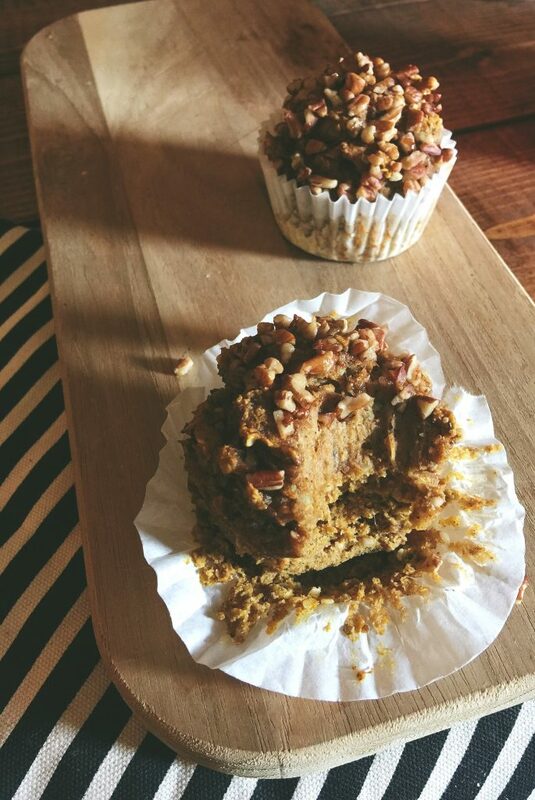 Maple, pecan, and pumpkin together sounds so delicious! You just made me crave fall even more with that comment. I bet it’s GORGEOUS in Minnesota! The crustless pumpkin pies are my fave as well and I love keeping them in the fridge to eat all day. So guiltless 😉 Sweet of you to make them for your mom! & thanks for the kind words!! I made a batch of these last night before Sunday night football games started and they were gone before sunday night football started! Great recipe as always. That is so funny & I love hearing that they were a hit! Hope you had a great football Sunday! I am definitely a big fan of Halloween! I like to take my daughter to festivals during fall. I haven’t tried one of your pumpkin recipes yet, but this one looks like a winner! In Georgia, the heat is still crazy but I would have to say probably mid to the end of September the leaves start changing. I’m ready for the heat to die down so I can go on some walks and enjoy the scenery! 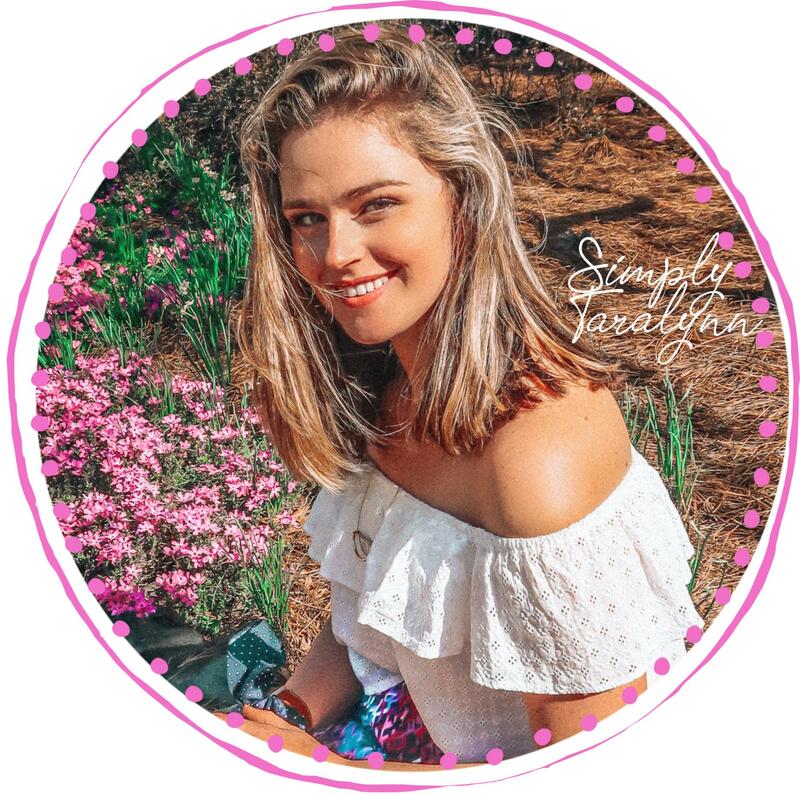 Thank you for answering my questions on your other post! 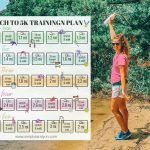 I would love to know more about Charlotte! I love Halloween too. I love thinking back at all the childhood memories and how special my mom used to make it. Taking your daughter to those festivals and going all out for Halloween is something she’ll never forget. 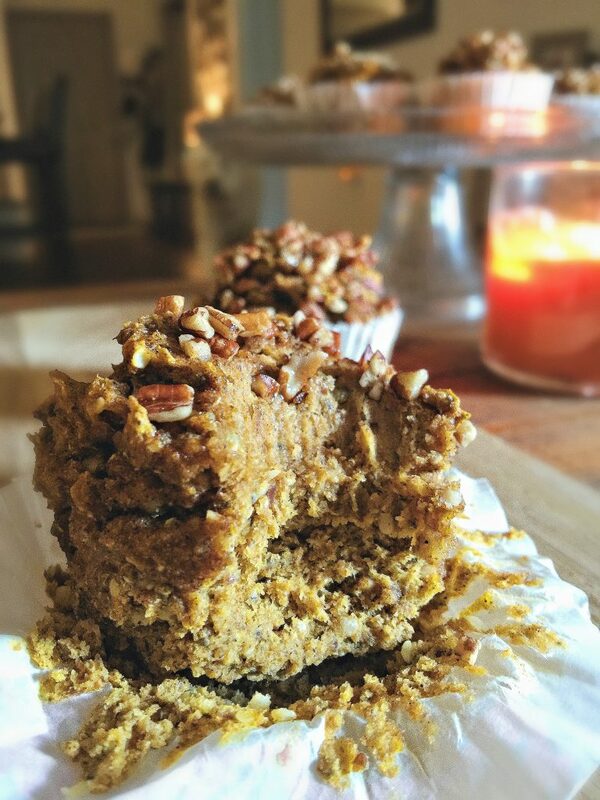 I think you’ll love these or my pumpkin bars! Those are my dad’s favorite. It’s super hot here too but our leaves are falling and it’s super strange. We are finally going to have a week in the 80’s and I cannot wait! I’m sure the heat will go away very soon and you’ll be able to enjoy the outdoors in peace. 1. It’s hard to say my favorite fall activity (my favorite season by far), but I think top of the list is apple picking! 2. I haven’t! 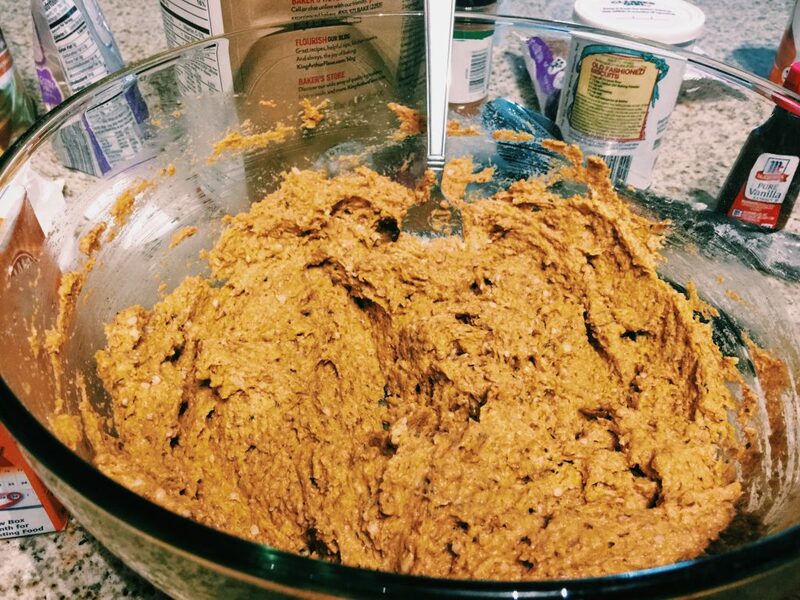 I’ve been meaning to make your healthy pumpkin bars w/ the icing forever…I will soon!! 3. I’m up in CT/NY, they change around October….I CANT WAIT! I cannot WAIT to go apple picking this year 🙂 & the pumpkin patches!!! I think you’ll enjoy those pumpkin bars. They seem to be a favorite and my dad is always asking for them. Oh My…you have the most beautiful falls! These look delicious! I just moved south and have missed all the fall temperatures too. I love apple picking, carving pumpkins and baking pumpkin everything! I agree to all three of those!! 1. My favorite fall activity is basically everything related to the leaves on trees. I love running through the forest because it is absolutely beautiful. I also will take drives down back country roads with maple trees just to see their breathtaking colors! Fall is my favorite time of year. I pretty much obsess over anything pumpkin or maple from now until December. 3. Actually today I noticed the tips of a few trees changing already. It made me all giddy inside because fall is definitely coming. PS. I highly recommend your idea of going back to Iowa for a HS football game. I tailgated their this weekend for the Iowa State game and it was a blast!! Iowa will always have a special place in my heart. I love running through the changing leaves on the trail too. I love hearing them crunch! The drives are gorgeous too! I agree. I drove up in the mountains last year and I’ll never forget that. The leaves were breathtaking. I also love the pumpkin flavors and maple flavors. 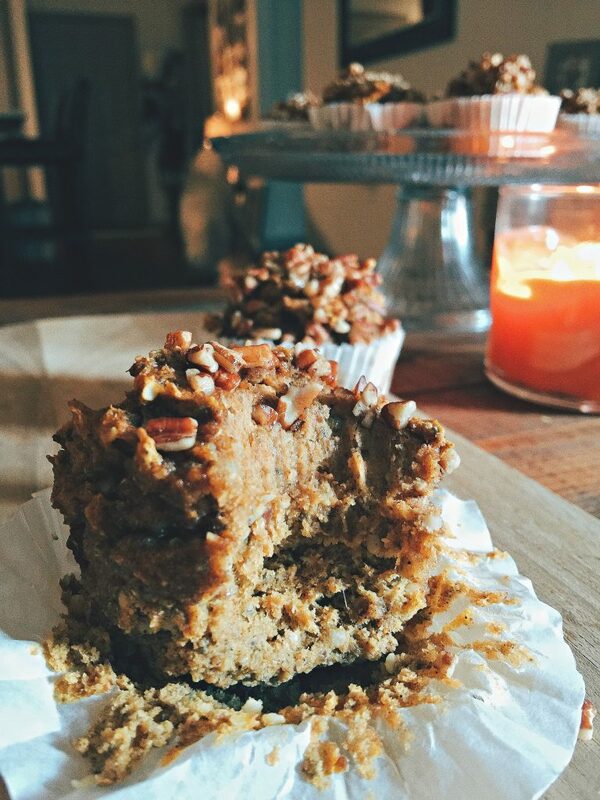 Thanks so much for the kind words about my blog and I’m so happy to hear that you love my pumpkin bars! My dad is a huge fan of them. I have to make some for him soon. Crazy that fall is coming fast and it’s weird that the leaves are changing here slightly as well, especially since it’s 90 degrees. I want to so bad. I’d love to visit my high school again. It’s been six years! Love Iowa as well 🙂 & GO HAWKEYES!!! These muffins look delicious! I am always on the hunt for on the go breakfasts because I don’t get hungry in the morning until I am already at work. 1. I love going to te pumpkin patch!! I also love just walking around outside because I love the smell of fall! 2. I don’t think I have tried one of your pumpkin recipes yet, but I don’t know why! I love pumpkin and I love your recipes! 3. Unfortunately the leaves don’t change colors or fall where I live :/ I live in Arizona and Fall is what I miss most about growing up in CT! These are a great go-to breakfast! I can’t wait to go to the pumpkin patch this year and I plan on bring my pup! The smell of fall is my favorite and Bath and Body work candles make it so much better. That store always puts me in the fall mood. I hope you get to try one soon! Going from AZ to CT is such a transition! I’d miss it for sure! I made 6 jumbo muffins and they came out perfect! Lowered temp to 325 and it took about 30 minutes. Subbed raw sunflower seeds for the hemp. 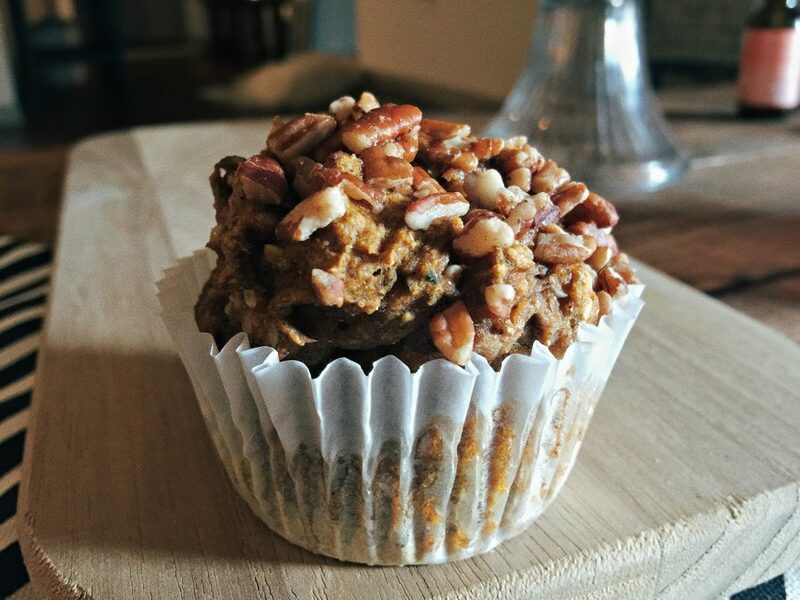 Left out pecans and used sugar free maple to save calories. Awesome texture! So happy with this recipe. 2. I haven’t, but I’d really like to make this recipe! I’d love to have one for breakfast. I’m so looking forward to dressing up in jeans and cute sweaters as well. They’re super delicious for breakfast. I like it with my coffee or before a morning workout. Besides pumpkin spice, apple cinnamon is a common and popular flavour too! Maybe create a recipe? 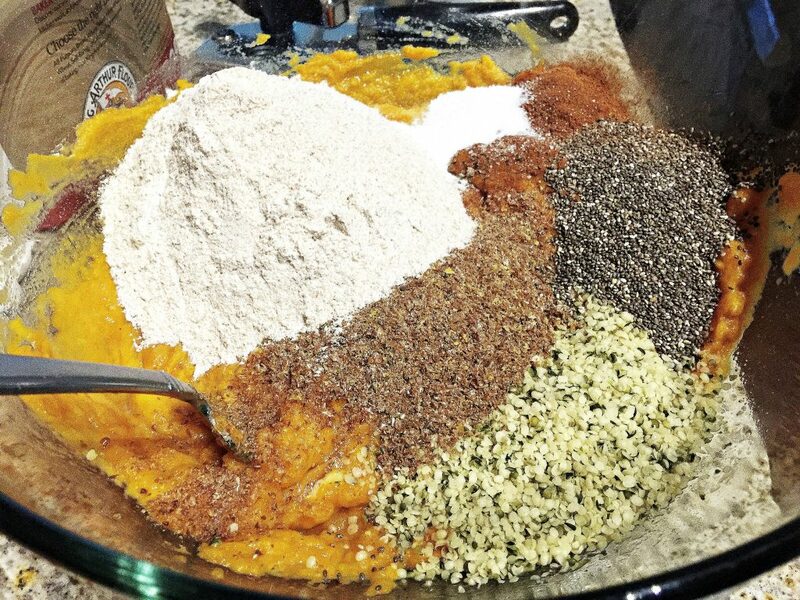 What size can of pumpkin did you use in this recipe? It looks delicious! I always love getting pumpkins by where my parents live. The pumpkin patch over looks the ocean and my friends and I always do a mini fall photo shoot out there. I don’t think so! But I will be making this one very soon. It’s meal prep Sunday and I’m thinking about picking up the few things that I don’t have! I used to live in the California Redwoods and their leaves start to fall off around now, but the trees always have leaves on them and they are always green. Now I live in San Diego and there are lots of caucus and not a lot of trees that change colors. We are thinking about moving to the East Coast in a few years and I know the leaves in some of the states are gorgeous! YAY!!! 🙂 so glad you loved these and they turned out! Can you substitute flax eggs for eggs despite there already being flax in the recipe? 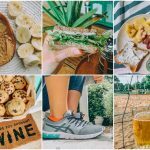 Looking for vegan options! Can you substitute flax eggs for the eggs in this recipe despite the fact that there’s already flax in the recipe? This looks delicious and so good for fall, but I’m looking for a vegan alternative! Can you substitute flax eggs for the eggs despite the fact there’s already flax in the recipe? These look delicious but I need a vegan alternative! Super excited to try these! They look amazing. 1 .HALLOWEEN. Best day of all time. My favorite day since forever lol love it more than my birthday. 2. I have not made one of your pumpkin recipes, BUT I will this year. Lol considering I actually have money. 3. Aannndd I guess they start changing around October? haha I’ve never really paid much attention. I just hope we get cooler weather this year. I love Halloween too and all the childhood memories! You’re never too old to dress up! lol I hope you enjoy one of my pumpkin recipes!! I think the leaves change in october here as well! They are starting to fall which is crazy to me! !